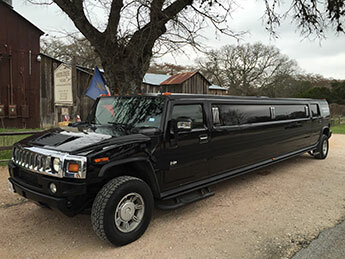 If you’re looking for that kind of limousine that provides luxury as well as muscular and cool looks, look no further than San Antonio Top Limo’s Hummer Limousines. If you want that awesome arrival to an event such as prom or a graduation party, San Antonio Top Limo’s Hummer limo is the one for you. And it doesn’t have to be just these events either. You may decide you want to take a luxurious ride through the hill country and have a fun time tasting wine. Or maybe you want to make a great first impression for your business to a potential buyer. With any of these options, the Hummer limo is the ride for you. Or perhaps you’ve got more than just 13 people you want to take along for an amazing ride. If so, we also offer our Texas Sized 22 passenger Hummer limos. If you’re the one who wants to turn heads and ride in style, this is the vehicle for you. With so much room, you can have a party inside before you even arrive to the main location. With so much room, your whole family can enjoy a luxurious ride to the event of your choosing. Want to arrive at a Spurs game in style? San Antonio Top Limo’s got you covered. You can show up right up front of the arena ready to have a stellar time watching your very own San Antonio Spurs dominate the other team. And the party doesn’t have to stop there either. After a successful victory, you can enjoy a ride back and have an after party as well. Or maybe you bought some tickets to your favorite music artist who’s performing in the San Antonio area. Our Hummer limos are great for these events. With a luxurious and smooth ride to the concert, you can get there with a smile on your face. With our professional chauffeurs driving, you can arrive on time to see your favorite artist perform live. Our 14 passenger Hummer limos are also equipped with the surround sound system, flat screen TV, wet bar and LED lighting. Not only these options, but we also have white and black exterior color options for the Hummers as well. You can enjoy some great drinks and watch some TV before arriving to the event in style. 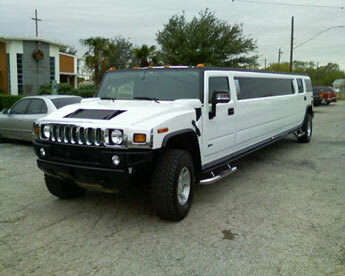 San Antonio Top Limo offers the best in Hummer Limousine service, and we aren’t afraid to prove it to you. Call us today and we can hook you up with one of our awesome Hummer limos. Whether you choose the 14 passenger or the giant 22 passenger option, you can be assured you will be riding in a luxurious SUV equipped with the equipment you would expect in a Hummer limo.. Whenever you look inside a Hummer, the first thought is always spacious. Hummers are huge when it comes to spacious interior, and the same goes with our limousines. We keep them clean and ready for you to step in. And get ready to tower over all those other limos out there, because you will be sitting in the tall and mighty Hummer limo. Hummer limousines are getting rarer and rarer. 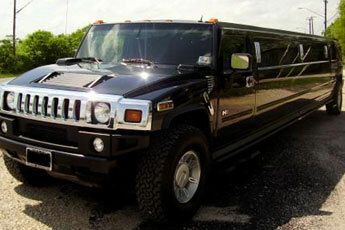 San Antonio Top Limo provides the cleanest and best Hummer limos in San Antonio and the surrounding areas. And not only the cleanest, but the biggest as well. With our giant 22 passenger Hummer limo, you’ll be no short of space in the luxurious interior. If you’re looking to have one of the best rides and entrances to that awesome event you’re heading to, give San Antonio Top Limo a call, and we can have one of our Hummer limos ready to roll out.